Acquaint yourself with these simple tips that can help you care for dry skin before and after you play Holi this year. While Holi is the festival of colors, joy, laughter and absolute fun, it’s also the season that causes havoc on dry skin. If you suffer from dry skin you already know how difficult it is to manage every day, let alone when drenched with harmful chemical powders and colors. So acquaint yourself with these simple tips that can help you care for dry skin before and after you play Holi this year. It is important to keep your skin well hydrated before you go out to play. Choose a luscious and thick moisturizer and add a few drops of coconut oil to it. The pores tend to be more open when you have dry skin and will get clogged with the colors. The coconut oil helps prevent this by sealing in the moisture. Also the mixture creates a protective layer on the skin which helps wash off the colors a lot more easily. While you are applying moisturizer, it is also important to add a layer of protective sunscreen. You skin is more prone to sunburns when it is covered with water and harsh chemicals from the colors. One of the best ways to avoid damage to dry skin is to choose to play with herbal colors. This trend is rapidly becoming popular and more and more people are going for all natural products. These colors can be easily found in most departmental stores which sell products for Holi, as well as some special organic stores. While we go to great lengths to moisturize the skin, we often tend to forget the smaller parts of the body. 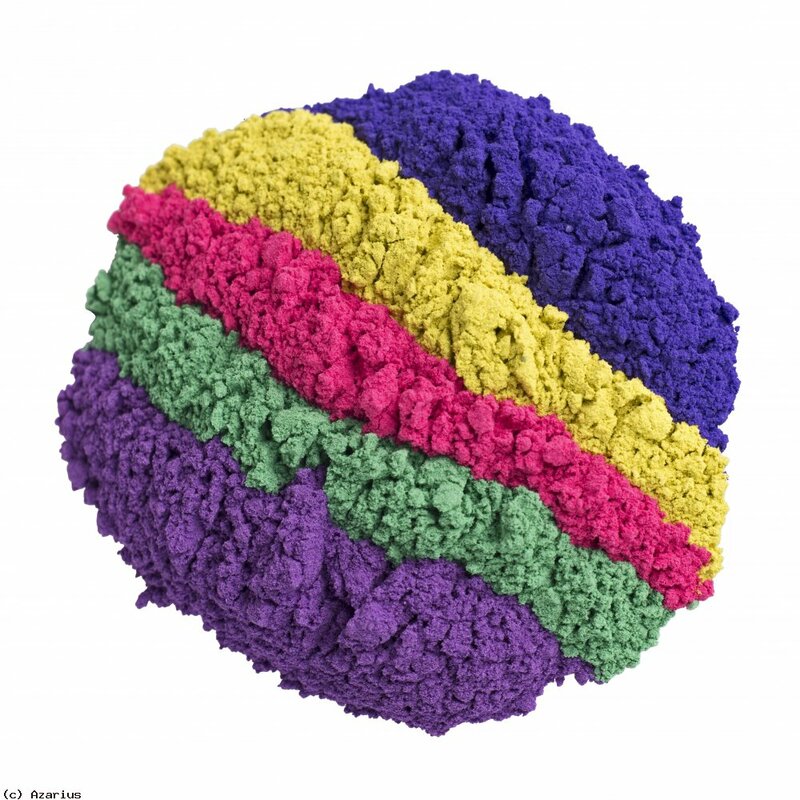 The inside of your ear is where the color sticks most stubbornly and is difficult to remove. Coat your ears and lips with a generous layer of Vaseline to ensure that the skin does not dry out. The long bath after a long day of playing Holi is one relaxing ritual. But when the colors are stubborn you can spend hours scrubbing yourself and draining your energy to no avail. Instead prepare your bath by adding salt to lukewarm water and add a few drops of baby oil to this. Use a moisturizing soap and a loofah to clean yourself up. Remember, don’t scrub too hard as this can cause irritation to dry skin. Repeat the saltwater and oil bath in a few hours in case the color does not come off right away. Gram flour (besan) is known for its cleansing and skin lightening properties. 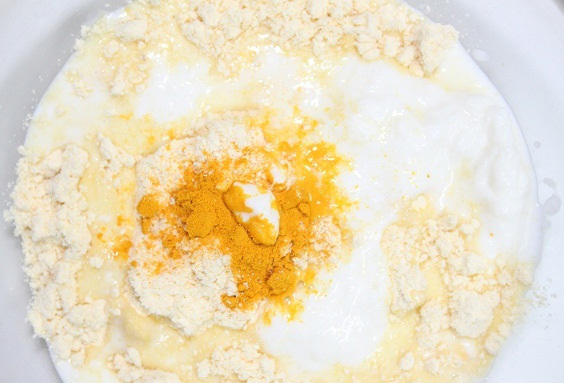 Create a paste by adding a few spoonfuls of milk to the besan powder and add just a pinch of turmeric. Rub this thoroughly all over your body to remove the color. The gram flower is not only a good cleanser, but it is also very gentle and when combined with milk it helps soothe dry skin. 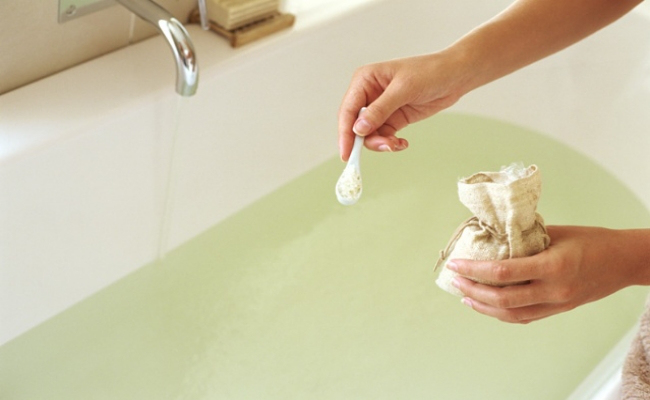 Once your bath is done, you need to load up on the moisturizer once again to keep your skin from drying out. 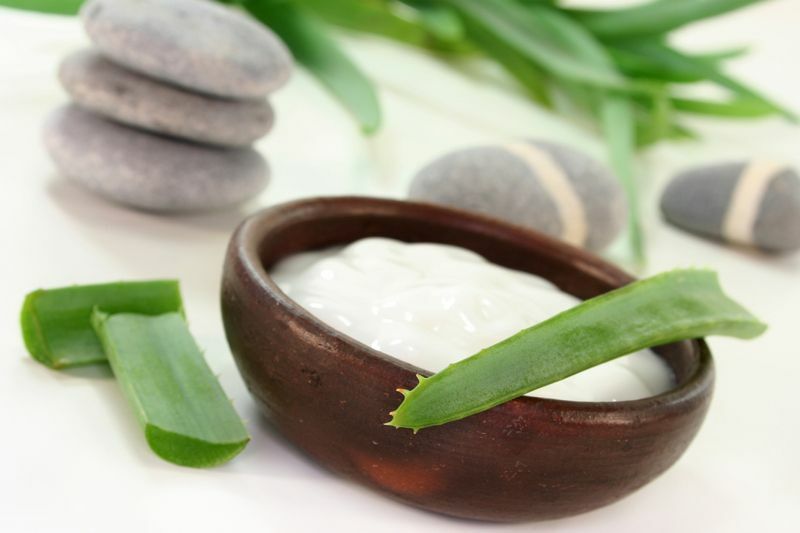 Take some calamine lotion if available and add a few drops of Aloe Vera oil to it. If you don’t have calamine, you can add the oil to any thick moisturizer. Mix it well and slather it all over your body for a calming and soothing effect on the skin.